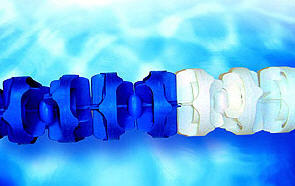 Use a unique design concept calculated to form a complete barrier against the waves caused by a swimmer. By dispersing them along the lane line and then downwards into the water, the waves are dissipated completely, stopping all momentum. Are equipped with the unique Supertensioner,the original turnbuckle tensioning device, tried and tested for over seven years. Come in a wide range ofstandard color choices of discs, floats and Supertensioners to suit your pool or team colors (see below). 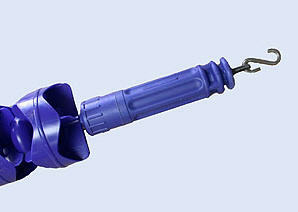 Are molded and now factory assembled in United Kingdom using the highest quality materials. Come with AntiWaves comprehensive standard 1-Year Warranty. Are great value for money. Our lane lines consistently out perform the competition with regards to price and value. Is easy to adjust. All you need to tension or release the lane line is a few twists of the wrist. Even kids can handle this! Because there is no ratchet mechanism, there is no wrench to lose. While the old-style ratchet system is cumbersome and bulky, the Supertensioner is sleek, stylish and trouble-free. Cant be accidentally released. All other ratchet-type tensioning devices can be tripped accidentally, often resulting in a mess of cable and ratchet teeth. With its lock-nut feature, this simply cannot happen with our turnbuckle system. Will not fray the cable. The body of the Supertensioner is designed to rotate around the cable, rather than the cable being tightly wound around a small-diameter drum. 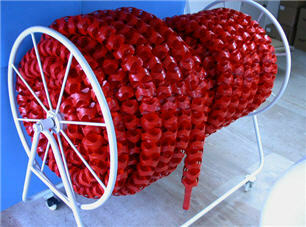 This effectively removes fraying cable, safety concerns and the need for plastic coated cable from the equation. 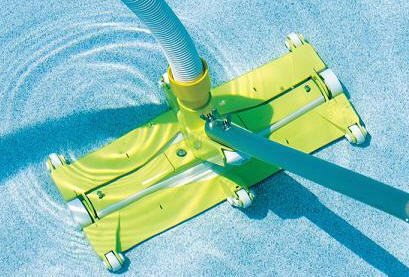 Saves time and eliminates hassles when reconfiguring the pool. After initial installation (which is really easy; the Supertensioner comes with clear, simple instructions), getting lanes in and out of the pool is a matter of minutes. Can be used on existing lane lines. If it is time to upgrade or replace existing tensioning devices, the Supertensioner is designed to fit any lane line using 1/8-inch cable. Comes fitted as standard on all AntiWave 150mm and 110mm lanes.Compare our prices with those of our competitors and youll see that ours is clearly good value for the money. The Anti Transgrate PP overflow grating is our swimming pool grating solution that provides maximum comfort to the feet and excellent durability. 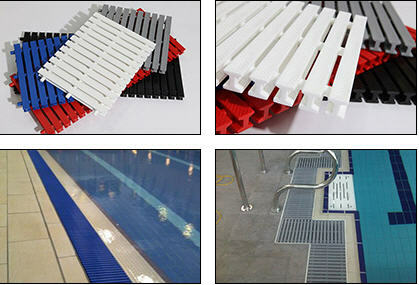 Our overflow grating is moulded in the United Kingdom from impact modified thermoplastic material which makes our swimming pool grating super strong and durable. 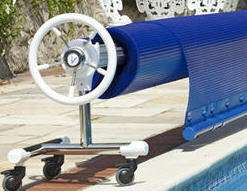 They are designed to be easy to install and flexible to meet a variety of different swimming pool specifications.